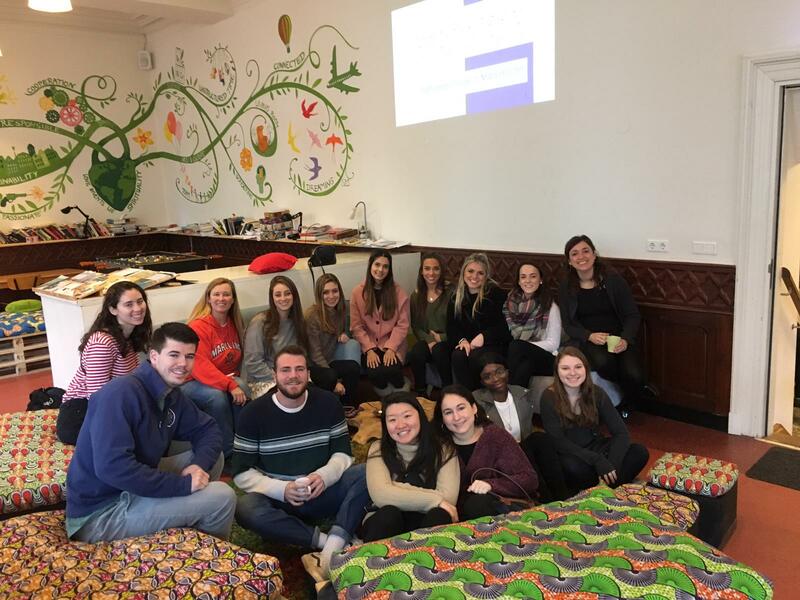 On Friday 18th January the Refugee Project Maastricht had a group of university student visit us from the University of Maryland. As a group they were studying, and were interested in, the way in which Europe saw diversity, tolerance and multiculturalism, especially through education. After a small introduction by our new co-ordinator Nathalie, two members of the RPM team, Milena and Phil, took over and led a discussion on inner workings of RPM and its emphasis on community and togetherness. The students and our members discussed the differences between the USA and Europe and how to educate people about the important values of diversity, tolerance and multiculturalism. We spent a wonderful morning getting know people from all over the USA and letting them into the behind-the-scenes of the Refugee Project Maastricht.